Throwing your baby off their routine can be stressful for both parents and child. 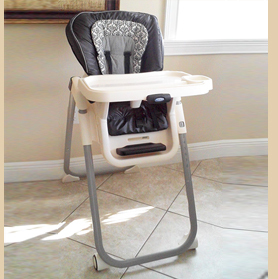 Our highchairs make it easy for your little one to have comfort of home at your rental. Our highchairs have vinyl seat covers and dishwasher safe removable trays. Don’t forget your cribs, beach toys, and strollers. We also have free delivery!